To Pimp a Butterfly follows two and a half years of anticipation stoked by Kendrick Lamar's breakthrough LP, good kid, m.A.A.d. city. 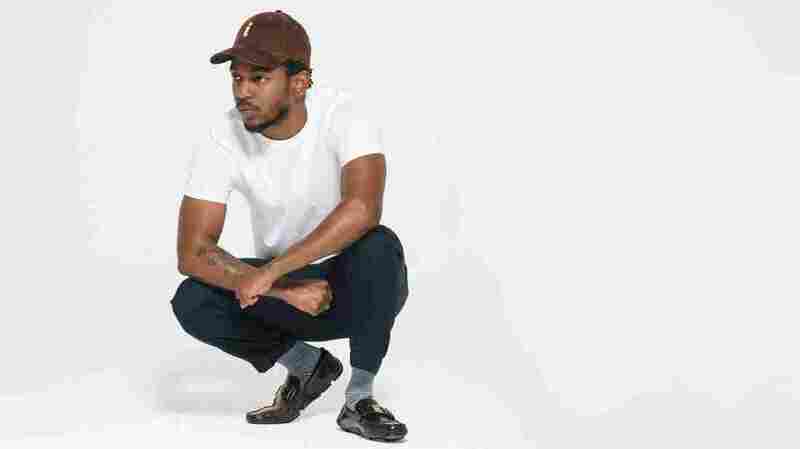 When Kendrick Lamar released his major label debut in 2012, he vaulted onto pop's leaderboard as one of the best rappers of his generation. He wasn't just a skilled lyricist, but a vivid storyteller able to create scenes with vivid detail and intrigue. Lamar took nearly two and half years to make his new record, an eternity in pop time. But once To Pimp a Butterfly arrived on Sunday night — nine days ahead of the announced release date — it's easy to see where he put all that time. He doesn't just live up to outsized expectations, he upends them with an ambitious effort to craft the musical equivalent to the Great American Novel. Like Lamar's native Los Angeles, To Pimp a Butterfly feels both dense and sprawling with its panoply of ideas, styles and sounds. Backing the rapper is a young cohort of L.A.'s best beat makers and musicians, including Digi+Phonics, Terrace Martin and Thundercat. Their collaboration creates songs-within-songs that hold multitudes, from updated P-Funk romps ("King Kunta") to coffee-shop poetry slams ("For Free?") to tete-a-tetes with ghosts ("Mortal Man"). To Pimp a Butterfly doesn't remind me of other contemporary hip-hop albums so much as the musicals of Melvin Van Peebles. Both that playwright and this rapper invite us into noisy conversations between eclectic characters debating personal triumphs and social failures, black love and white hate, all under the looming shadow of America. It's telling that two of the album's songs are simply titled "u" and "i," but don't confuse that for a universal "we." Lamar wades into our moment of peril around race, inequality and brutality, but he's not speaking to the rest of the nation as much as penning both an admonishment of, and love letter to, Black America. That's the "we" he sets himself both above and below, and yet always within.